Get your costume ready and join us if you dare. D.J. V.V music that will get you the goosebumps. 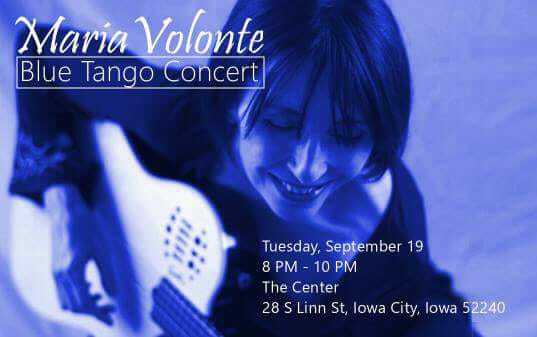 The Iowa Tango Club has the honor of hosting Maria Volonte and Kevin Carrell Footer on Tuesday, September 19 at The Center located at 28 S Linn Street Iowa City. 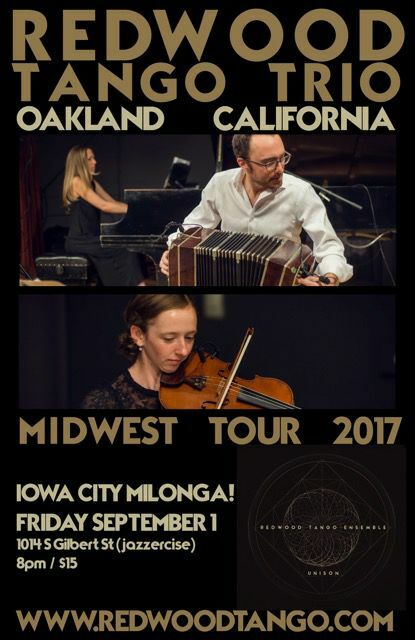 These are 2 musicians who blend Tango and Blues music. 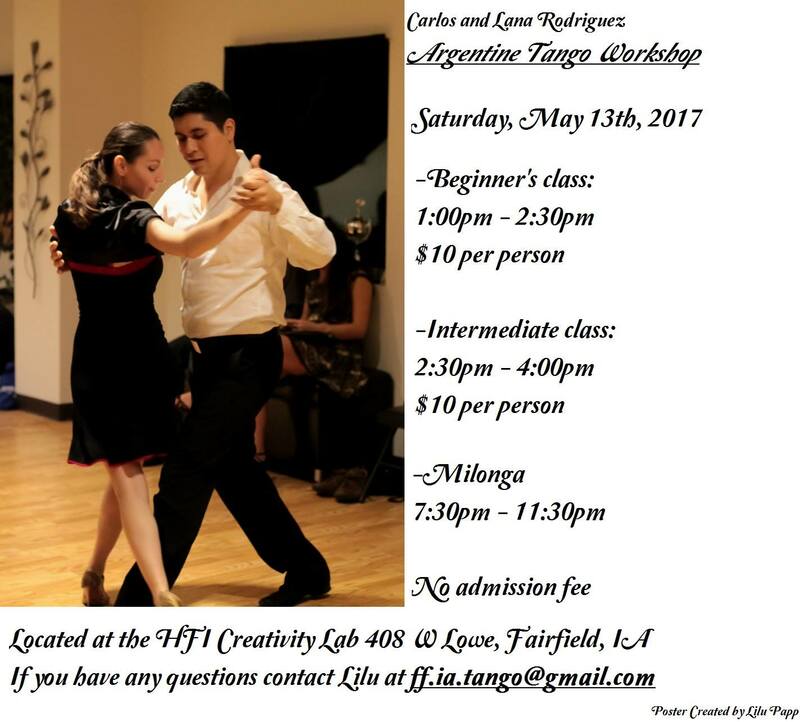 We will have a beginner/introductory tango class from 7:00-8:00 with their multmedia presentation to follow from 8:00-10:00. 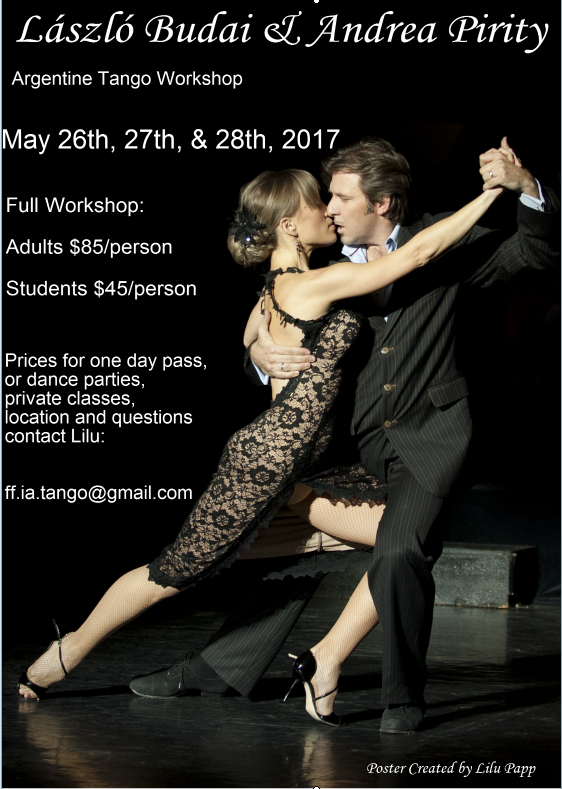 The cost will be $10 which includes the tango lesson. See you on Tuesday! 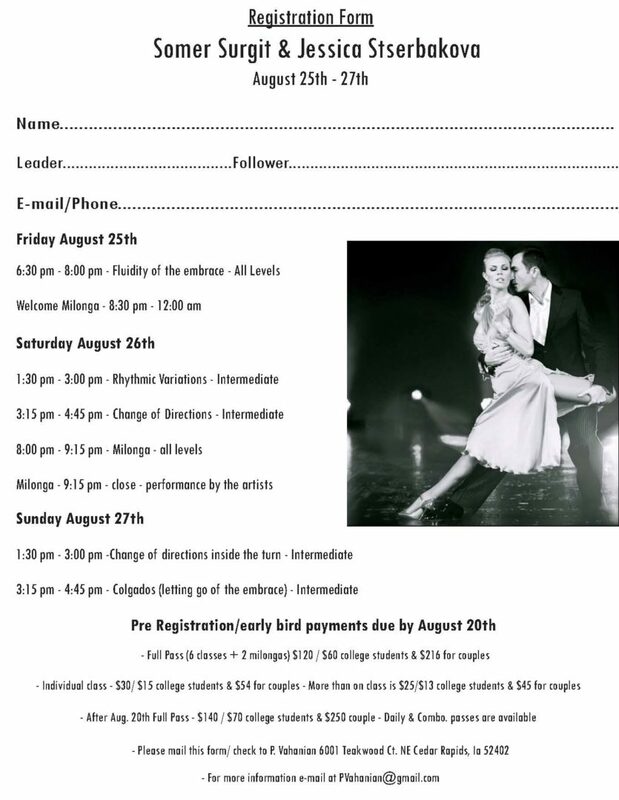 Come to dance.. celebrate.. mingle. Meet new people and inspire others to explore this beautiful dance. D.J. V.V will be mixing the tunes, giving you the canvas for your inspiration to develop.